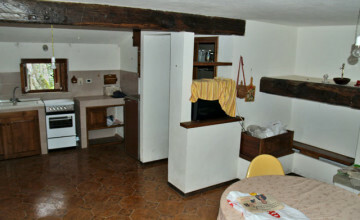 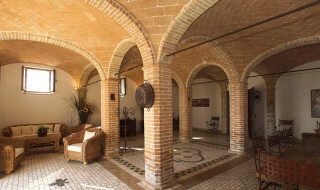 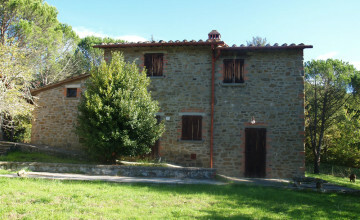 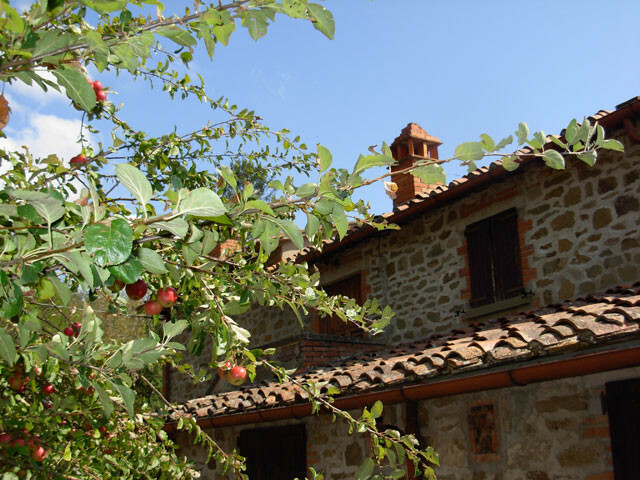 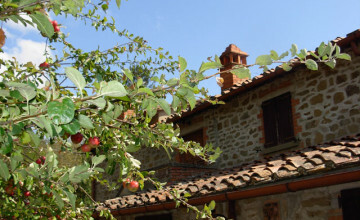 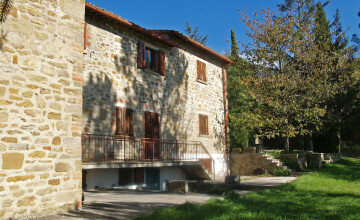 Two stone houses in good conditions, outbuilding and bread oven, surrounded by lush vegetation in dominating position few kilometres from Palazzo del Pero with services. 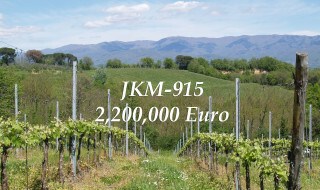 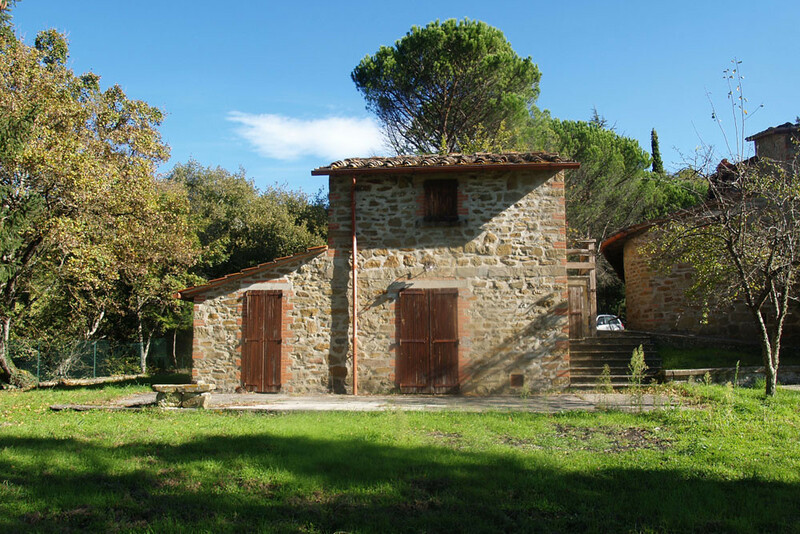 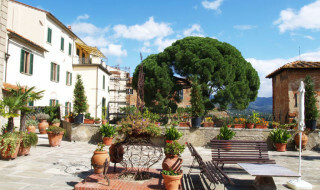 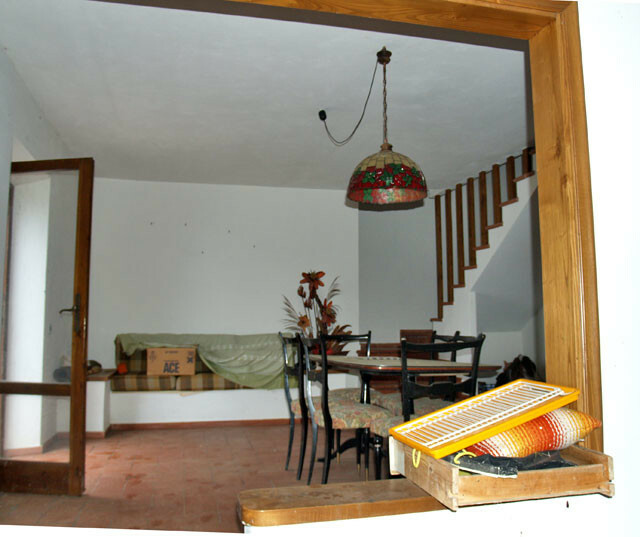 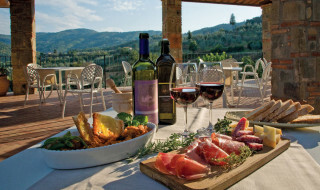 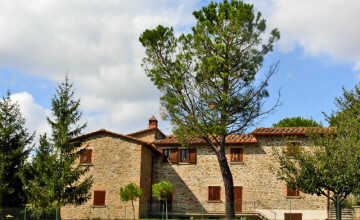 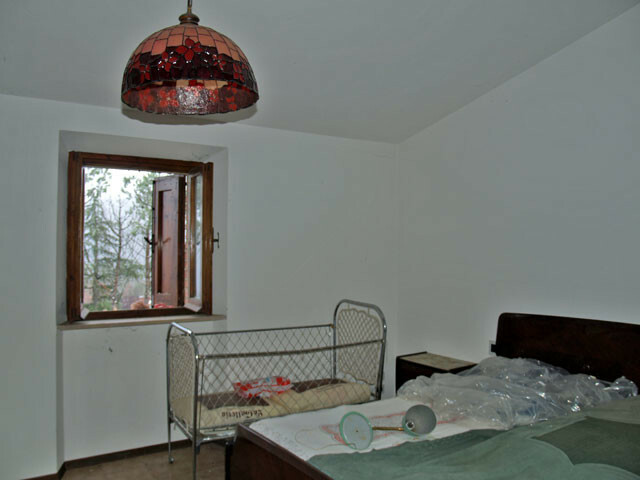 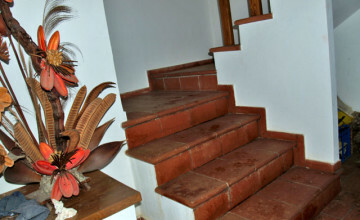 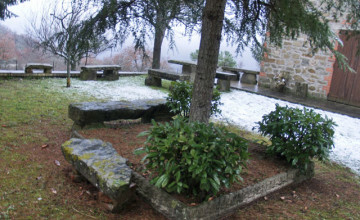 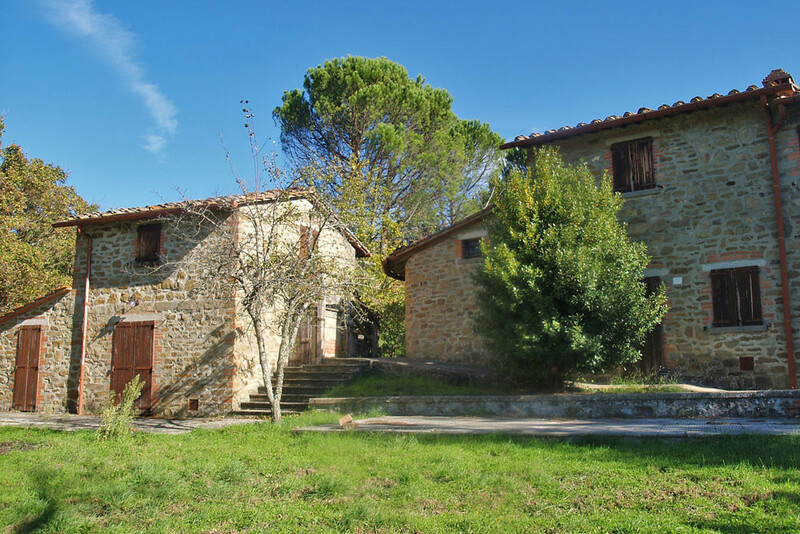 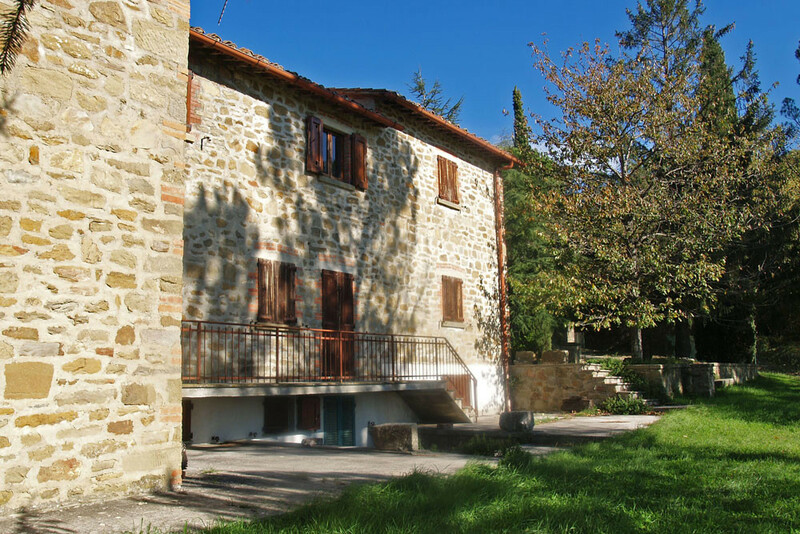 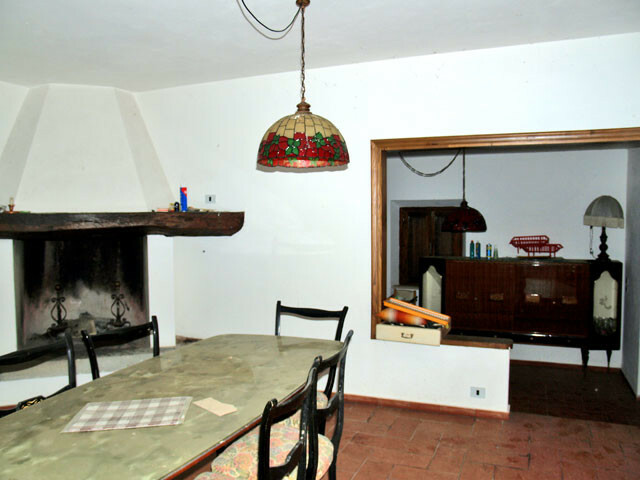 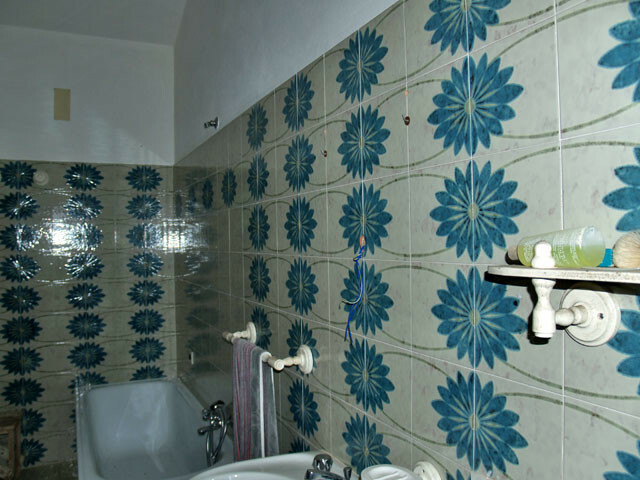 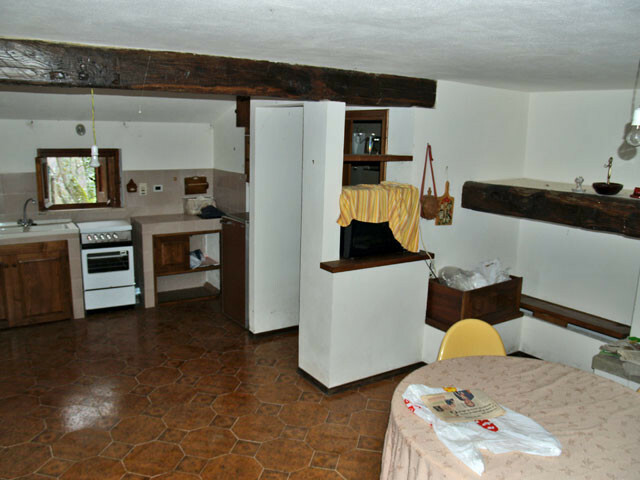 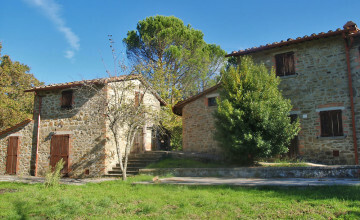 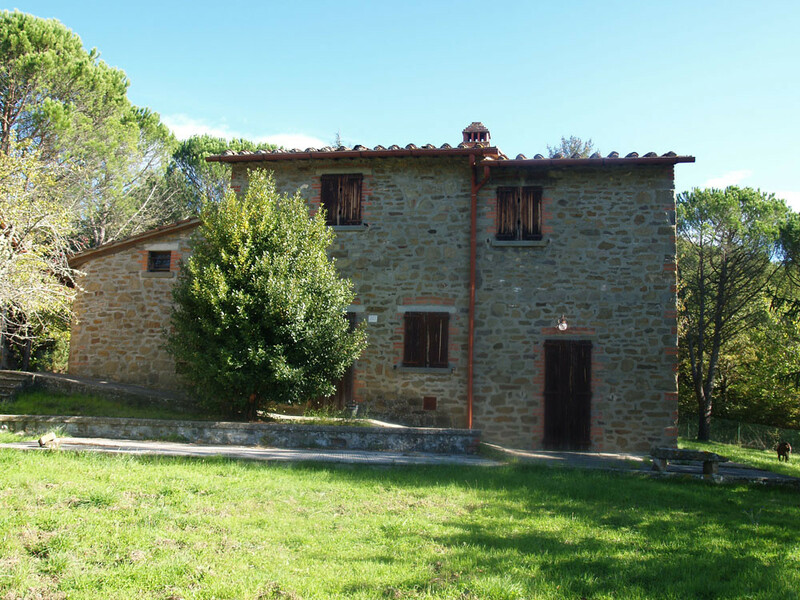 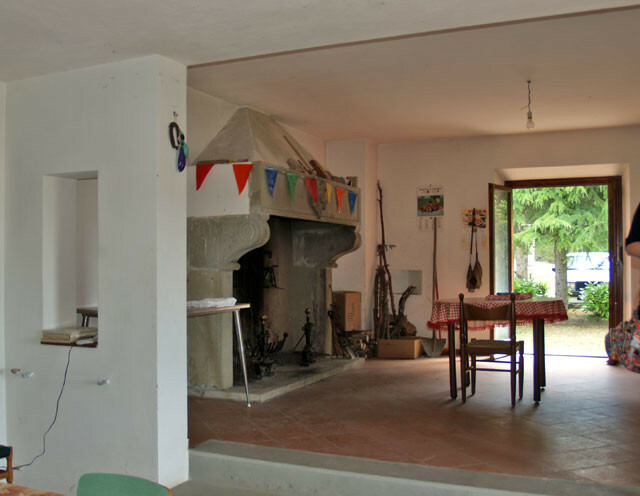 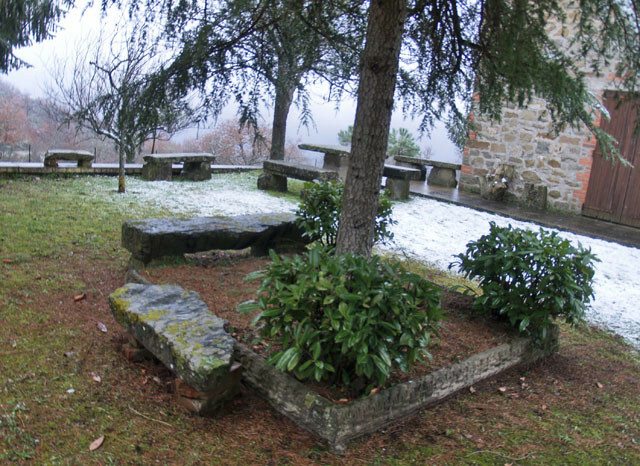 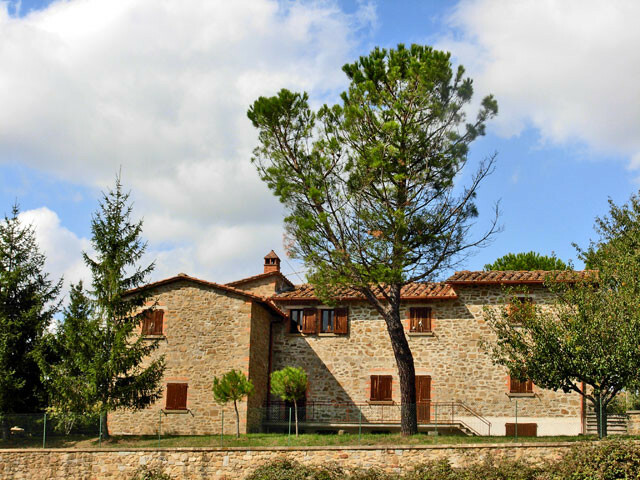 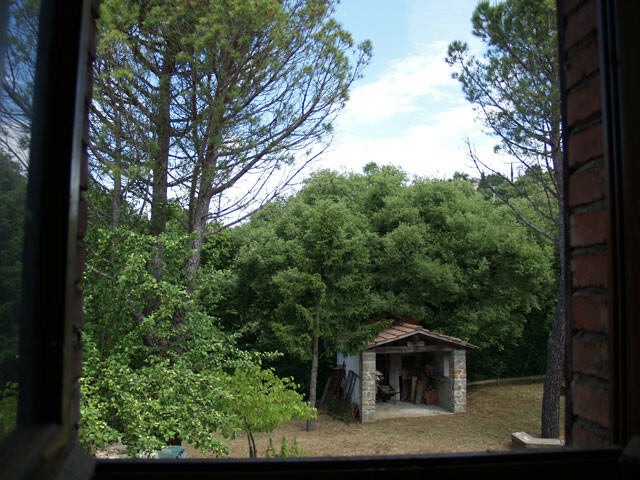 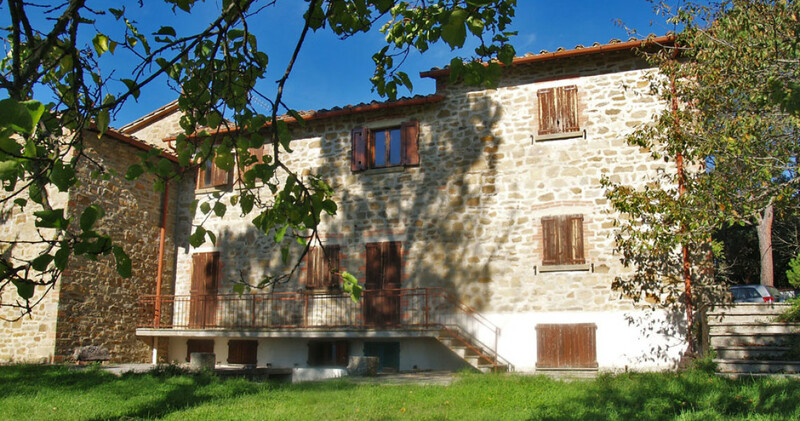 The property is located in a very panoramic spot only 10 minutes drive from Arezzo and about 20 from Sansepolcro, near Palazzo del Pero village. 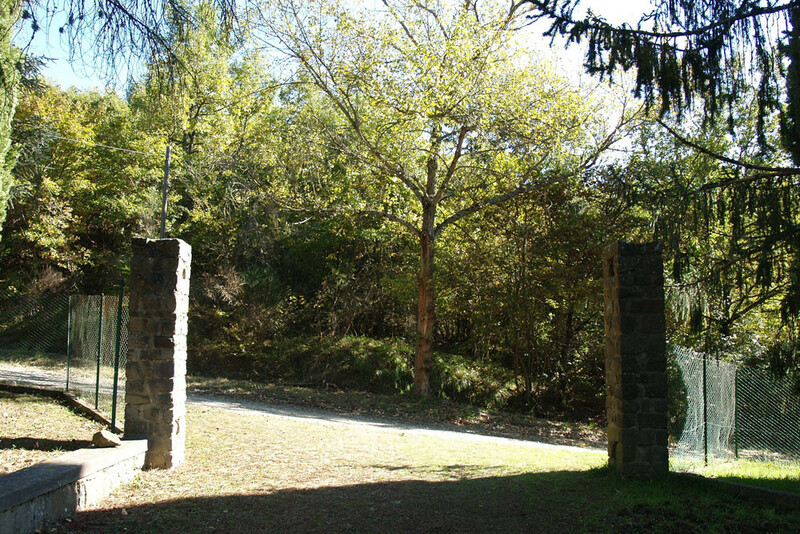 It consists of two buildings surrounded by a beautiful park with secular trees. 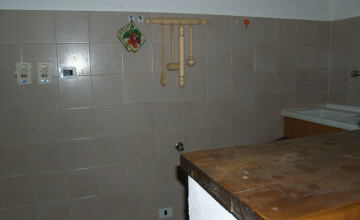 The living surface amounts to a total of 450 sq.m. 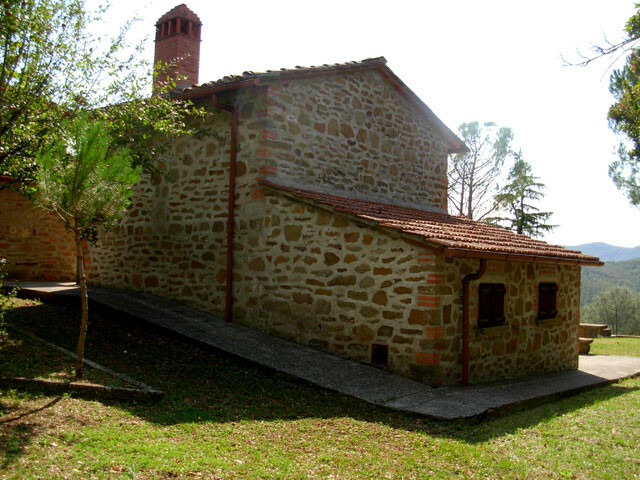 The biggest stone building was constructed about 25 years ago. 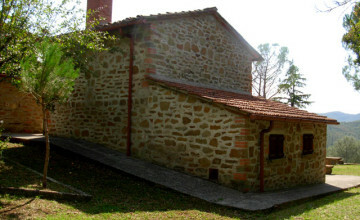 It has three levels and is divided into two units. 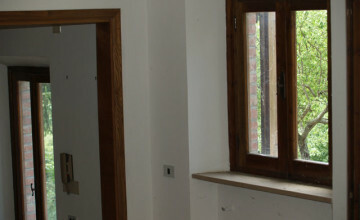 One apartment has an entrance hall, bathroom, sitting room, dining room and kitchen on the ground floor. 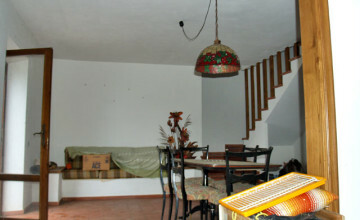 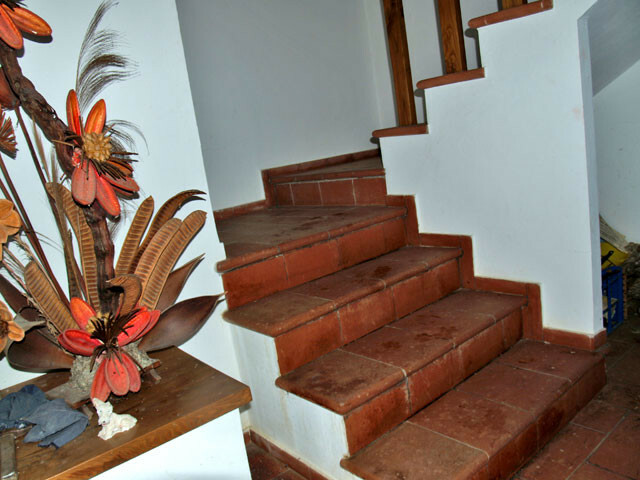 Two bedrooms and bathroom are located on the upper level. 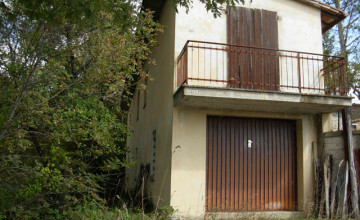 The other apartment develops on three levels. 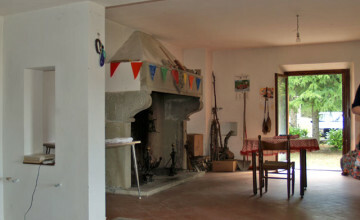 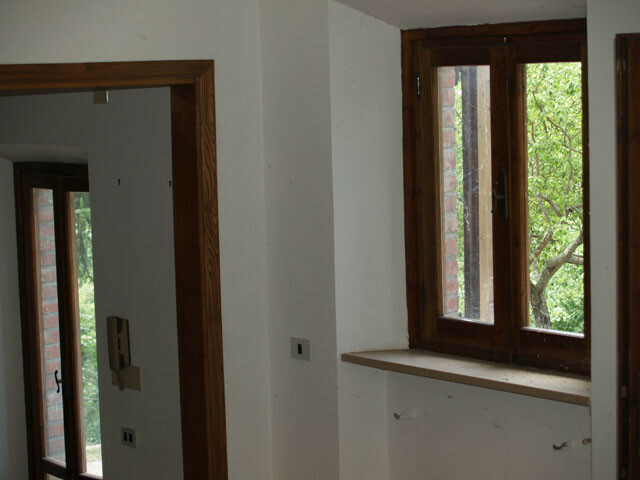 The lower ground floor with access also from the garden consists of one large sitting room and a kitchen. 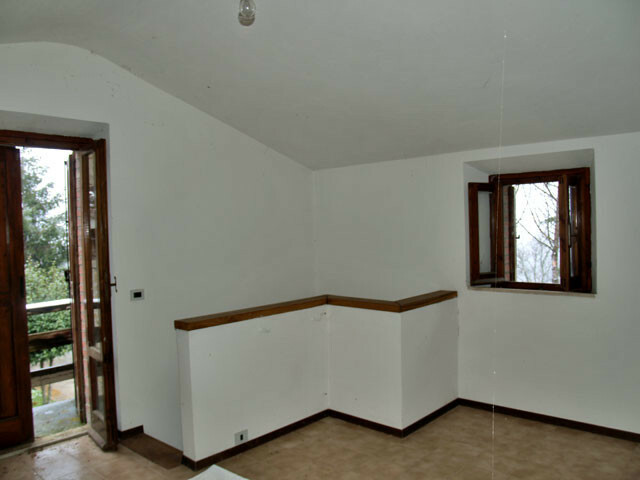 Ground floor has another, almost 50 sq.m. 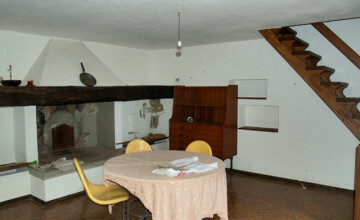 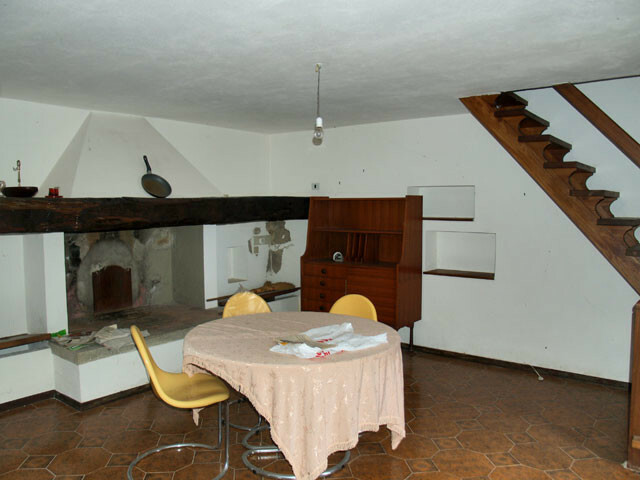 sitting room, kitchen, study and bathroom on the ground floor. 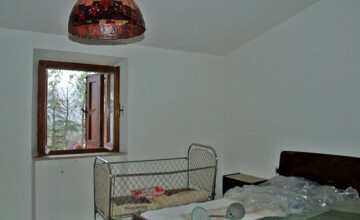 First floor is divided into two large bedrooms and a bathroom. 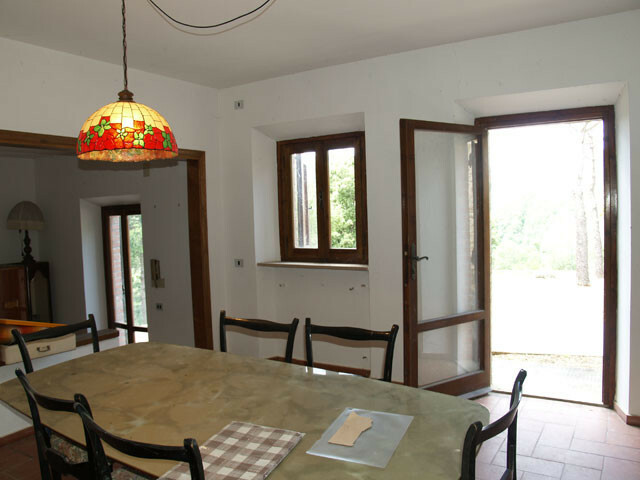 The other structure, once a hay barn, has been transformed into a one bedroom charming house. 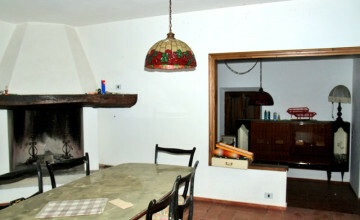 It has a sitting room/kitchen with open fire place and bathroom on the ground floor and large bedroom upstairs. 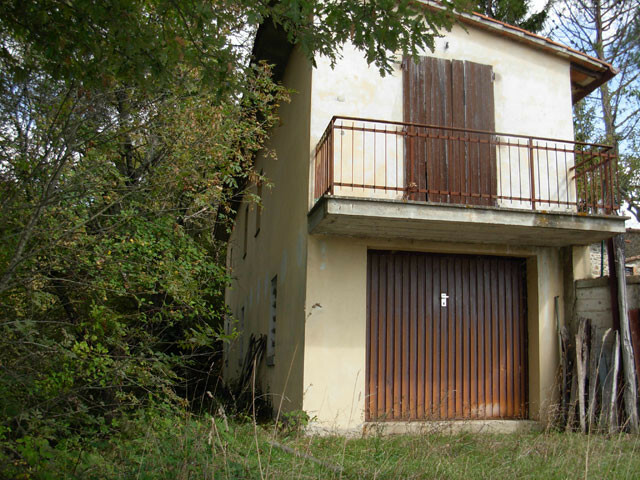 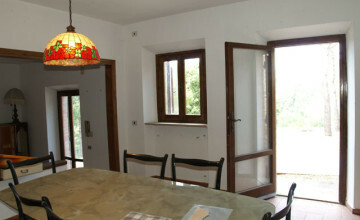 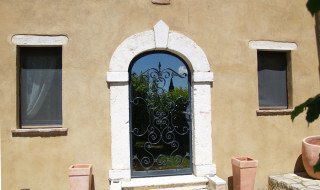 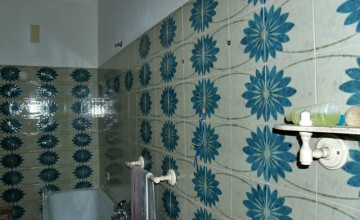 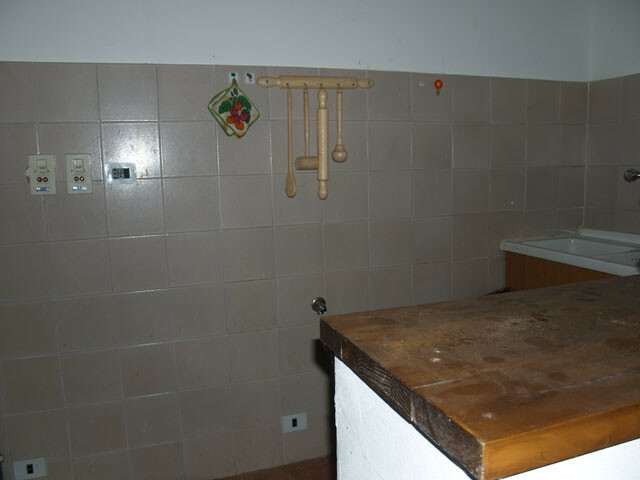 Conditions of the property are good but, hardly ever been used, it does require some repair and modernization works. 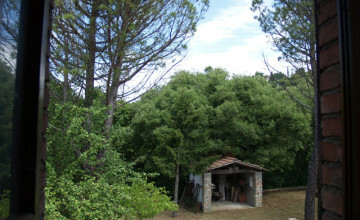 The property includes also a own water well. 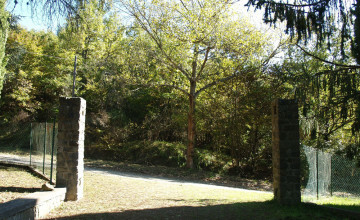 The houses are surrounded by partially fenced park. 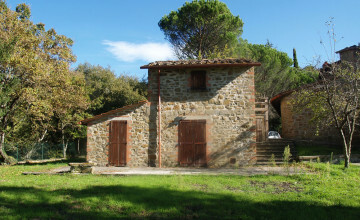 Rest of the land - 1.5 hectare give enough space for a panoramic pool, vegetable garden and why not, a small vineyard. 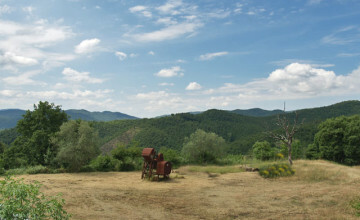 This is a quiet, full of sun and extremely panoramic place easily accessible by a 700 mt. 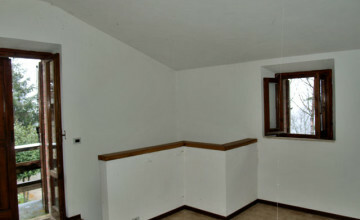 wide and comfortable white road. 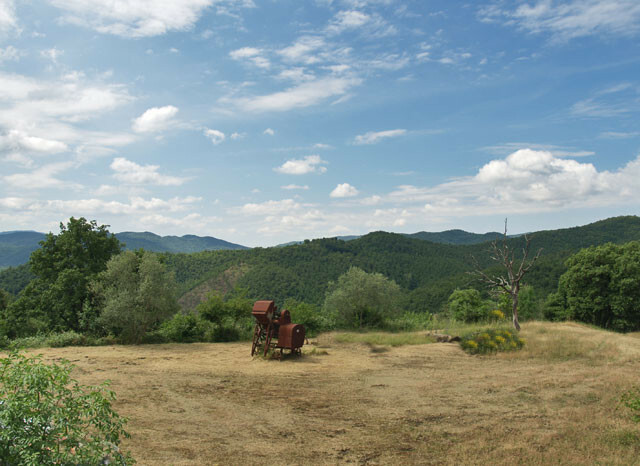 If necessary, additional land is available up to 40 hectares.